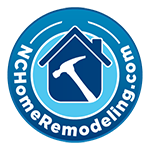 See Our Work: Our latest bathroom remodel! So many of our customers here in the Triangle area approach us with concerns about the appearance of their home before putting it on the market. They know that potential buyers often look for concessions to be made when they know the home will require a significant amount of updating. For this reason, an outdated home will fetch a lower price. Our experience allows us to guide you as the seller in making the best enhancements to maximize your return. There are occasions where we will recommend simply freshening up the space, perhaps updating some paint colors. Other times, we will focus on the major areas of the home, or areas that are focal points. 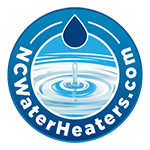 NC Home Remodeling is proud to show how our expertise can achieve this for our customers. Let’s look at a recent project where we remodeled and repaired nearly every room in the house. We were able to greatly increase the home value with some modest updates. The master bathroom remodel is a great example. The existing tub was outdated, in need of repair, and too big for the space, making the bathroom feel small and uninviting. To save on cost, the existing vanity was painted, hardware changed, and a new granite top installed. The tub, however, was to become the focal point of this room, inviting potential buyers to relax and let the day’s worries melt away. The floor and wall tile were removed. Simple beadboard flanks the tub, while the floor tile was installed with a darker border to give the space visual appeal. The telephone-style faucet is whimsical and charming. Balance was achieved throughout the remainder of the house, giving a similar design flow throughout. Some rooms just required repainting, others required additional remodel work. We are happy to announce that this house sold for a much better offer than would have been received before the remodel. Another success story! This is only one example of the remodeling we’ve done for people looking to sell their homes. 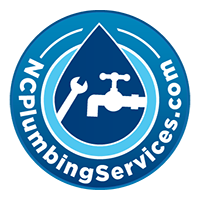 Our service area includes Raleigh, Durham, Chapel Hill, Wake Forest, Cary, Garner, Clayton, Apex, Fuquay-Varina, Holly Springs and the greater counties of Wake, Harnett, and Johnston. Those who are considering putting their homes up for sale in the near future should consider whether it will get the full price possible if it remains in its present condition. Give us a call at (919) 868-3585 and we can discuss ways you might update your home for market. No Replies to "See Our Work: Our latest bathroom remodel!"